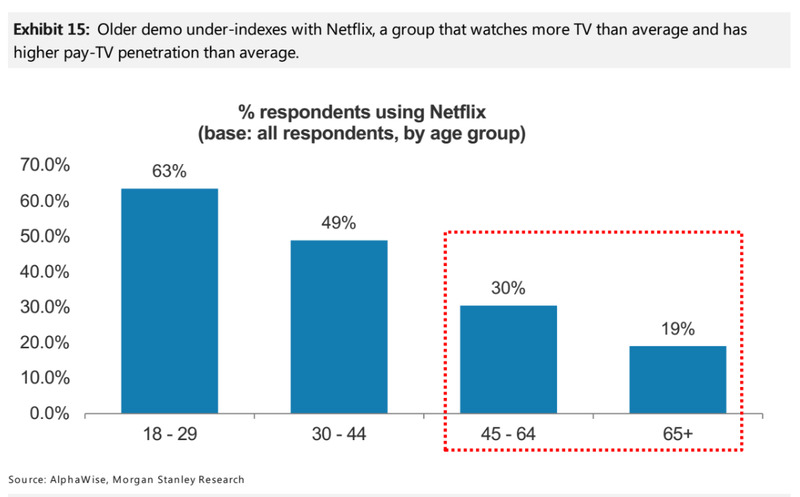 Analysts at Morgan Stanley say that one demographic will be a key to Netflix’s success in the US moving forward: older people, particularly those over 65. 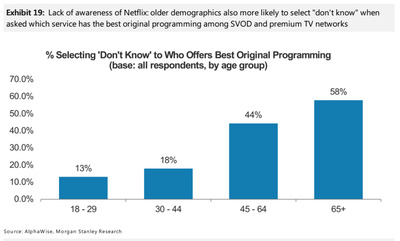 And the analysts have a plan for how Netflix could snag older viewers. After being the highest-performing stock on the S&P 500 in 2015, Netflix has had a rocky start to 2016, and is down around 12% year-to-date. Part of Wall Street’s worry, besides doubts on international subscriber growth, is a fear that Netflix is reaching saturation in the US. In other words, where are the new US Netflix subscribers going to come from? 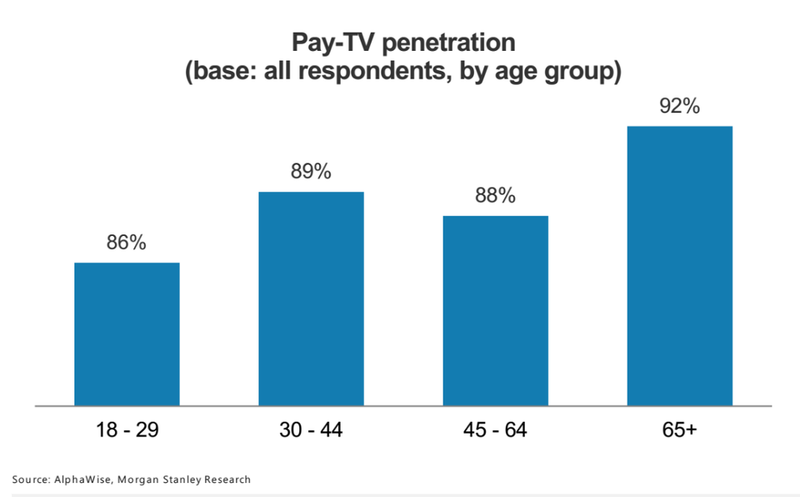 Morgan Stanley says one answer is older Americans, particularly using integration with cable boxes as a way to lure them in. 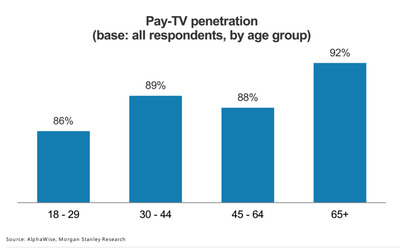 If older Americans are more likely to pay for TV, why are they less likely to subscribe to Netflix? 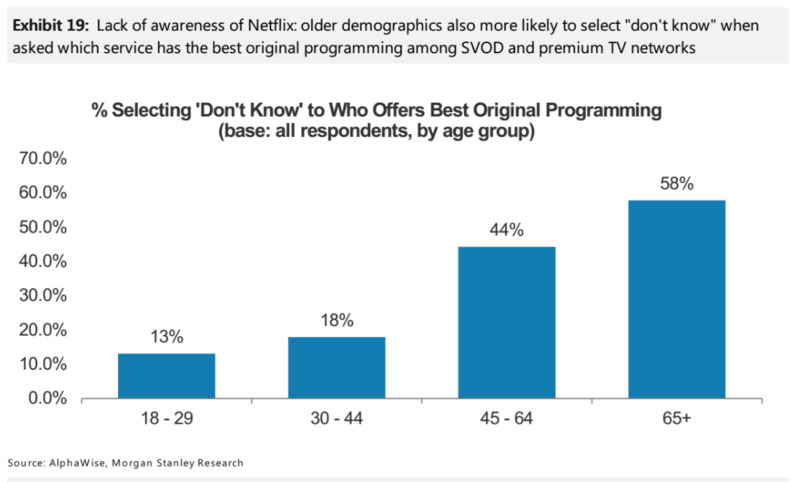 Morgan Stanley’s thesis is that older people in the US don’t inherently dislike Netflix content, but that some of them are simply unfamiliar with it because they are used to their normal methods of watching TV. They aren’t looking to figure out how to sign up for Netflix and then get it to stream on their TV. An integration with a cable box could help that. 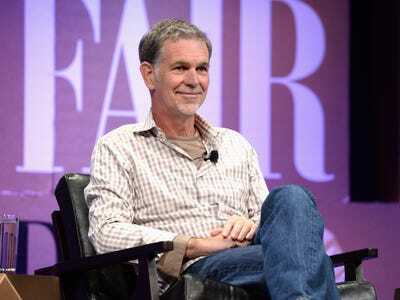 As to the negotiation process for getting Netflix in the boxes, the analysts think it’s likely Netflix would be willing to sweeten the deal with cable companies by offering them favourable terms, like the ones they give Apple or TiVo. Then all Netflix needs is a partner on the other end that is not actively fighting such a deal.